The Newcomer Family Committee started out as the Refugee Family Committee with the task of looking at how and if Forest Hills Baptist Church could and would sponsor a refugee family and assist them to resettle in Saint John. 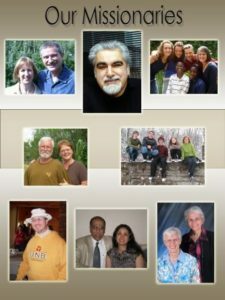 When our first families arrived, it became the Newcomer Family Committee. The Committee navigates the private sponsorship process through CIC (Citizenship and Immigration Canada) so our church can sponsor a refugee family to come to Canada. The Committee then assists in resettling the Newcomer families here in Saint John. The Committee has also assisted a family to repatriate to their own country from a refugee camp. Each sponsorship the Committee has put forward has taken 2-4 years. The Newcomer Committee meets once every 4-6 weeks during the research, application and processing phase then every 1-2 weeks in the resettlement phase. Resettling a family is very hands-on and time consuming and many hands are needed in many areas (financial, health, daily living, shelter, transportation, education, etc).